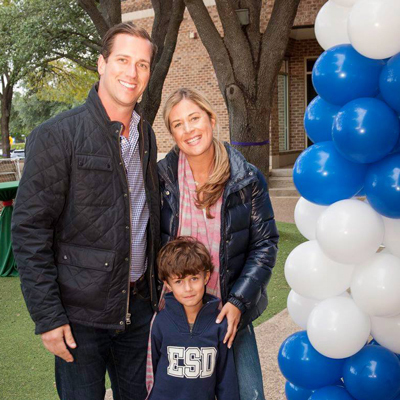 The Episcopal School of Dallas is pleased to announce a Lower School campaign gift from Rachel and Grant Baldwin ‘99. Grant is the current president of the Alumni Association Board, and Rachel is active in the Parents’ Association, now serving as the chairperson for welcoming new families into the ESD community. Their son, Will, is a member of ESD’s kindergarten class. The Baldwins believe that uniting the Lower, Middle, and Upper Schools on one campus will provide enormous opportunities for the entire community. The significance for ESD’s youngest learners in a state-of-the-art facility is immense. Giving back is important to the Baldwins. Both Rachel and Grant are involved with several local organizations aimed at supporting the health, well-being, and education of children. With this gift, Grant and Rachel join several other alumni and their families who have given gifts to help build the new Lower School on Merrell Road.